Whether you’re setting up a home theater or preparing a business presentation, a projector can be a great way to get a big screen without spending a lot of money. We searched for the best projector under 300 dollars and found a surprising number of excellent options in this very affordable price range. The key to getting a great value on a projector is to know exactly what you need out of it before you start to shop. Different spaces and uses will require different features, and there might be some features you don’t find as important. You can even get more advanced features, like 3D capability, from these affordable projectors. Check out the reviews below to get a better sense of your options. Not everyone who’s shopping for a projector is looking to set up a home theater. 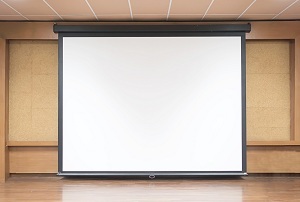 If you’re a teacher, public speaker, or anyone else who needs to give public presentations, a projector designed for movies isn’t necessarily going to be best suited to your needs. Instead, you’ll want something more like the Epson VS250, which gives you controls and a picture quality ideal for images and text. The on-board controls are more extensive and intuitive on the Epson VS250 than home theater projectors. You can control the zoom using a ring on the lens itself, giving you a more sensitive adjustment. The control panel gives you options for changing content sources, controlling the on-board speakers, and adjusting the vertical keystone without going into any menus. The lamp on this projector is plenty bright to use in a typical office or classroom. You may need to dim the lights a bit for absolute clarity, but you won’t need to make the room completely dark. The picture itself is quite good, with vibrant colors and strong contrast. The resolution doesn’t look bad on videos, either, and you can definitely watch movies using this projector if you’d like, though you’ll get a higher native resolution for the same price elsewhere on the list. The set-up on this projector is basically plug and play. It’s also widely compatible with any media source that uses HDMI. It’s easy to focus and adjust the image, too, giving it high overall marks for ease of use. 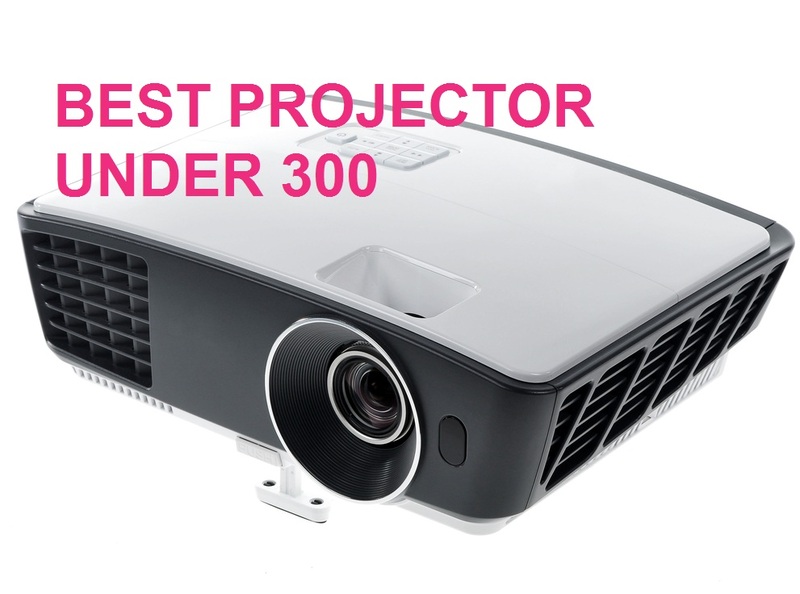 If you’re looking for a versatile, convenient projector for your next presentation, the Epson VS250 is worth a look. Here’s another great choice for people who are shopping for a projector to use in presentations more than a home theater. Like the Epson above, it features plug and play operation and straightforward on-board controls. The key difference between the two is in the picture—and in our opinion, the ViewSonic is even better in that regard. Let’s start with the picture. The lamp is good and bright, up to 3,600 lumens. It also has a high contrast ratio and a proprietary color system that gives you a wider color gamut. The native resolution is the same as the Epson above but the picture looks sharper and clearer. It can also handle content than many projectors at this price point can’t, including 3D Blu-rays. The build on this ViewSonic PA503S is solid. It’s not especially lightweight, which does lower its portability and might be a downside if you’re carrying it to and from the office. Aside from this minor quibble, though, it’s a well-made projector that can give you a massive image on a wide array of content. This versatility and consistent image quality makes it one of our favorite overall projectors for the price. A lot of projectors are advertised as portable just because they’re lighter in weight than your standard model. The Nebula Capsule, on the other hand, is truly small enough that it can fit right in your pocket. Not only does it weigh less than a pound it also runs on battery power and has an extremely rugged aluminum casing that means you can truly watch your favorite shows and movies anywhere. Equally impressive, considering the size, is the fact that the Nebula Capsule includes an omnidirectional speaker. The volume is pretty good—plenty for casual movie watching. It’s also Bluetooth enabled, playing content that you stream straight from your phone or computer, and there’s an app for the controls. The picture that this little unit puts out is clear and sharp—if you’re in the right environment. As you might guess from the tiny casing, this model uses an LED bulb for the picture. This is what keeps the Nebula Capsule so small and lets it operate so efficiently, but it’s also a lot dimmer than many projectors at the price point. The 100 ANSI lumens put out by the bulb will only give you a bright enough picture to be seen in a completely dark environment. This projector is ideal for campers, RV-ers, and backyard movie nights—anywhere you want a projector that’s easy to both carry and set up. If you’re getting the projector for a more permanent home theater, you can get a better, brighter picture for less money elsewhere. For portability, though, you really can’t beat the Nebula Capsule. Back to projectors aimed at the home theater market, this Crenova HD projector is one you’ll want to keep your eye on. It’s an affordable projector that makes it easy to watch your favorite content, no matter what device you use to get your media. Let’s start with the image. This Crenova HD Projector has a native resolution of 720p and will support content up to 1080p. The picture isn’t quite as sharp as with projectors that have a native 1080p resolution, but it’s pretty good for the price. The NTSC color is an upgrade over the brand’s previous models and is comparable to what we saw elsewhere on this list. The brightness is our main complaint from an image standpoint. It is brighter than many projectors with an LCD bulb, but it will still require a mostly dark environment. This Cremona projector comes with remote control and all the cables you’ll need to set it up. It can be mounted or propped on a tabletop, and the image is equally simple to adjust either way. While it doesn’t have a built-in wireless capability, it does give you a full range of inputs, including a microSD slot along with the standard HDMI and USB ports, with an audio out port if you want to use external speakers. It also supports screen mirroring so you can easily view content from your phone or tablet, though you’ll need to do it through a wired connection unless you invest in a wi-fi dongle. Versatility and value are the biggest selling points of this Cremona projector. It gives you lots of options in terms of the screen size and placement, and the included remote is a nice touch when it comes to convenience. As long as you plan to use it in a mostly dark environment, you’ll be pleased with the performance of this projector. Here’s another one from ViewSonic that’s more on the home theater side of their inventory. It’s also one of the best portable projectors you’ll find in the price range, with innovations to both the exterior design and the inner workings that come together in an impressively compact package. The ViewSonic M1 weighs less than a pound. The stand doubles as a lens cover, and when it’s closed the projector is a slim 5X6” box that will fit into any backpack. The built-in lithium-ion battery can play six continuous hours of content on a full charge—long enough for a double feature without having to stop and plug in. Most portable projectors come with speakers for an all-in-one movie experience. The speakers on the ViewSonic M1 are well above average compared to other projectors. They’re made by Harman Kardon, one of the leading names in high-end home audio equipment. You’ll still need external speakers if you want soul-shaking bass, but for basic sound effects, dialogue, and even music, it’s acceptable without any extra hardware. Related Guide: How to Get Sound from Projector to Speakers? This projector has a relatively short throw ratio, too. That means you don’t have to position the projector as far from the screen to get a large image. You can get a picture of up to 100” even in a relatively small room. Combined with the portability, that makes it a great choice for dorm rooms, apartments—even hotel rooms. With the ViewSonic M1, you’ll truly have the option to watch your favorite content anywhere. Viewsonic M1 A Great Portable Projector – Perfect For Lazy Sundays! GooBang Doo doesn’t just have the most delightful company name on the list. They also produce high-quality projectors like the ABOX A6. For a $250 piece of equipment, it has very impressive features and stats, especially when it comes to the quality of the picture. First of all, this is the only projector on the list with a native resolution of 1080p. You can really see the difference when you’re comparing the images side-by-side. The picture from the GooBang Doo ABOX is crisp and detailed. The brightness helps with this, too. The lamp provides up to 4,000 lumens, on par with projectors that cost twice as much. This projector is also designed to be user-friendly. It has an automatic keystone adjustment of up to 45°, enough to prevent distortion in most situations. There are also two HDMI inputs, along with USB, VGA, and AV inputs, so you can easily connect more than one media source—perfect for a full home theater set-up. You can find smaller projectors if portability is your main concern, but this unit’s not too big—right around 7 pounds and no more than a foot in any direction. The bigger problem if you plan to travel with it is the speaker. There are two speakers for a stereo effect, but they’re not super powerful and you’ll probably want to use external speakers if you want immersive sound. These two design aspects aside, this is arguably the best projector under 300 dollars, at least when it comes to the picture quality. It’s easy to use, has a bright lamp, and will give you a better resolution than many projectors at twice the cost. If you’re looking for a portable projector and you’re on a tight budget, this Elephas projector is the most affordable of the compact options on the list. It competes with the Nebula Capsule in terms of size and weight, but it costs almost a hundred dollars less—an excellent value if you’re looking for a projector you can move around easily. And the Elephas 3D Mini Projector offers two features you won’t get from most of the options on the list: a built-in wi-fi connection and the capability to play 3D content. The first will be the more useful extra perk for most users, letting you connect speakers or stream content straight from your phone without wires or extra hardware. This projector is quick and easy to set up, a necessity in a portable projector. It gives you the option of either automatic or manual keystone correction so you can easily adjust the picture. We were missing the option of a zoom. The only way to change the size of the screen is to move the projector, which can be a bit annoying depending on your set-up. On a similar note, the image won’t get quite as large as with other projectors—the maximum screen size is around 100”. You only have to put the projector 6-8 feet from the screen to get it there, so it’s a good choice for small spaces. The color, contrast, and brightness on this projector were honestly better than we expected for the price. It’s not as sharp as a projector with a native 1080p resolution, but it looks pretty good, especially if you limit the light in the room. Overall, a versatile projector at a great value. Finally, let’s look at the 510 HD projector from Vankyo. It’s priced comparably to the Elephas above, at right around $200, while also giving you a bigger screen and a few nice accessories that increase its overall value. The lamp on this model is surprisingly bright for an LED projector—as much as 3,600 lumens. It also uses a unique display technology that reduces the impact of ambient light on the picture. The color gamut is a bit narrower than we’d like, giving the picture a slightly washed-out appearance, but that’s our only complaint where the image is concerned. You’ll get an array of content and configuration options with this projector, too. It has all the standard hook-ups, including a slot for an SD card, and supports the majority of common video formats. The build feels nice overall. You’ll probably never have to do any maintenance on it—not even changing the lamp, considering it has a lifespan up to 50,000 hours. Using this projector is straight plug-and-play, so it’s easy in that respect. It also has both keystone correction and focus adjustment wheels directly on the projector. The focus especially can be a bit tricky to dial in, but it’s handy having these options at your fingertips. For further image adjustments, you’ll probably need to spend some time exploring the settings—they’re not the most intuitive, and you don’t get as many options as with other, costlier projectors. If you’re setting up a home theater on a budget, you should check out the Vankyo Leisure 510. While it doesn’t have handy features like wi-fi or remote operation, it’s one of the best projectors you can get for less than $200. There are two major factors that make up the bulk of the difference between a $300 projector and a $1,000+ projector: the brightness of the lamp and the native resolution. Together, these are also the factors that determine the visible quality of the picture. The higher the brightness and resolution, the sharper the picture will be and the better the projected image will cope with ambient light. Brightness is typically measured in lumens. The projectors on this list range from around 1,000 to 4,000 lumens. To give you some context, a standard 60-watt incandescent bulb produces 800-900 lumens. You may also see projector lamps measured in ANSI lumens, a common unit of measurement for the brightness of business projectors. In a small, dimly-lit room, a projector with 200-300 ANSI lumens should suffice; for a larger or better-lit room, you’ll want a projector more on the order of 500-600 ANSI lumens. Things get a bit more complicated when it comes to the resolution. There is a difference between a projector’s native resolution and its supported resolution. 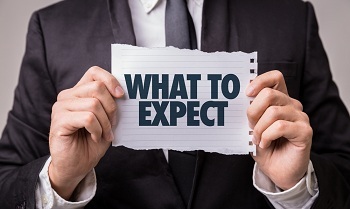 If a projector supports 1080p, this means it can play content that’s put out in a 1080p format, but it doesn’t necessarily mean it will project the video using a 1080p image. The resolution the projector can actually achieve is its native resolution, which may or may not be the same. Only one projector on this list, the GooBang Doo ABOX A6, offers a native 1080p. The rest support 1080p content but have a native resolution of 720p or lower. The picture from these will still be on par with what you’d expect from a standard definition television, it just won’t be quite as sharp and crisp as what you’d get from an HD projector. Contrast: The contrast ratio of a projector measures the difference between the dark and light areas of the screen. The higher the contrast ratio, the clearer the picture. This will also affect the vibrancy of the color, along with the brightness of the lamp. Some high-end projectors have a contrast ratio of 50,000:1 or more. You don’t really need it to be quite that high; the contrast ratio on most of these projectors is around 1,000:1, which will be passable, if not the sharpest image you’ve ever seen. Throw ratio: This statistic refers to how large the image from the projector will be relative to its distance from the screen. The less distance required to increase the screen size, the shorter the throw of the projector. A short-throw projector is ideal for a small room since you’ll be able to make the most of the space you have. Screen size: The screen size of a projector is variable, one of its big advantages over a standard TV. All of the projectors on this list can give you a screen size of at least 100”—much bigger than what you’ll get from television at this price—but some of them can give you a screen that’s twice as wide. For most home theater and business uses, 100” will be plenty. The people most likely to want a larger screen are those planning outdoor uses or large group presentations. Speakers: The speakers on most projectors will be on par with your average laptop speakers. They are functional for hearing video game sound effects or basic TV dialogue, but they won’t give you immersive surround sound. The bass tends to be especially lacking due to the small size of the drivers, something you’ll notice most in movie sound effects and soundtracks. So what’s the best projector under 300 bucks? If you’re looking for the best overall option, the GooBang Doo ABOX A6 is, in our opinion, the best value on the list. It’s portable with a bright lamp and a good variety of connections and configuration choices. It’s also the only option with a native resolution of 1080p so it will give you the sharpest picture, no matter what you’re using it for. That doesn’t necessarily mean this is the best choice for you, of course, and the other projectors mentioned here have a lot to offer, too—there’s a reason we put them on the list! Consider what you need out of a projector and use that to guide your decision. With a little bit of forethought and research, you can give your viewing space a serious upgrade without having to spend a lot of money. Previous articleWhat is Contrast Ratio in a Projector?